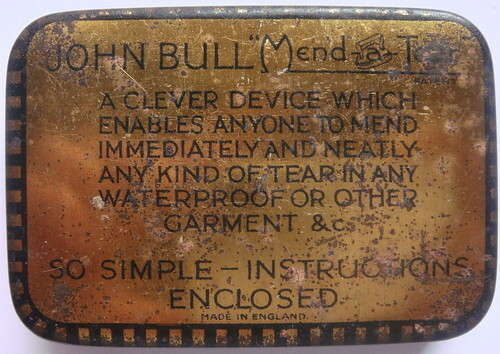 John Bull mending kit, a photo by a1scrapmetal on Flickr. 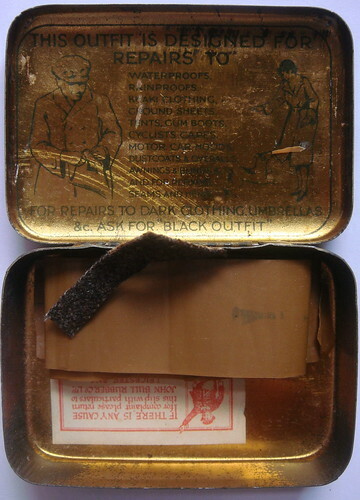 A wonderful tin Archie gave me for my birthday. 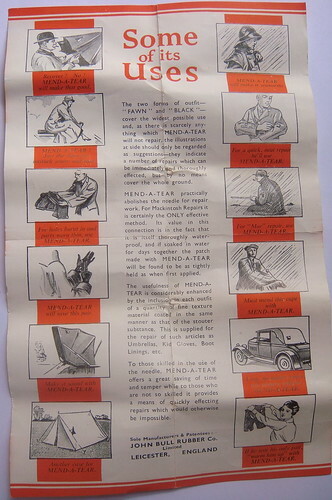 (found on a stall at a steam rally in Daresbury) Such a lot of information and lists of its uses, it is basically a piece of waterproof cloth you can cut to shape and glue over holes. So well packaged and marketed..makes me feel you could sell anything. SO SIMPLE - INSTRUCTION ENCLOSED." 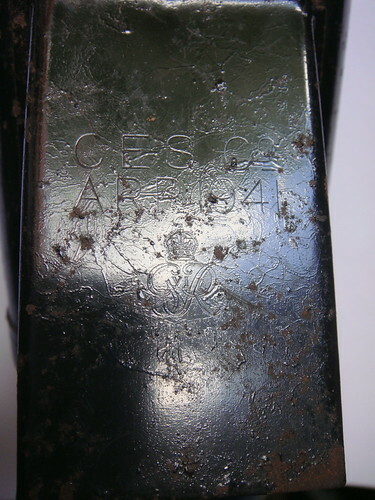 THIS OUTFIR IS DESIGNED FOR REPAIRS TO. 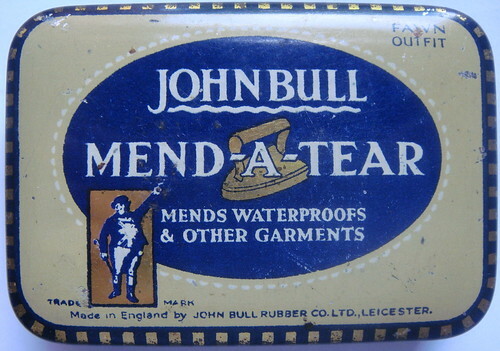 FOR REPAIRS TO DARK CLOTHING. UMBRELLAS &c ASK FOR BLACK OUTFIT. 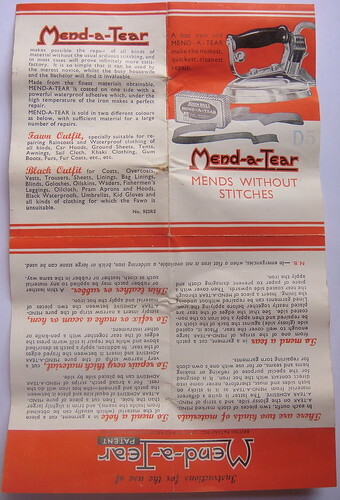 Mend a tear. comprehensive instructions. DSC00508, a photo by a1scrapmetal on Flickr. Found on the Knutsford car boot sale today for £3.50. 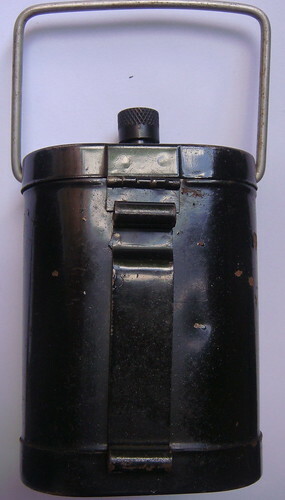 A bike lamp issued to ARP (Air Raid Precautions) Wardens during WW2. 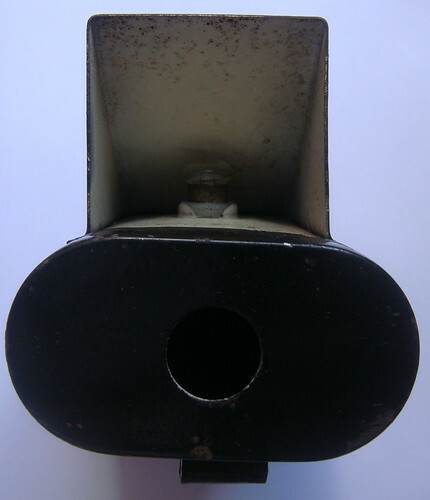 The idea was to stop enemy aircraft seeing you, as the light was directed down onto the road. The man who sold it to me said an old chap told him that he had used one during the war and all it did was light up the front tyre a little bit..and you couldn't really see where you where going. DSC00510, a photo by a1scrapmetal on Flickr. 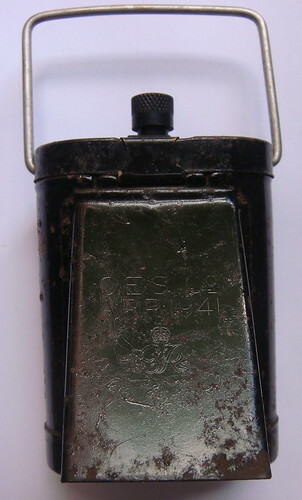 The back..with simple clip to attach to handle bars. DSC00511, a photo by a1scrapmetal on Flickr. DSC00509, a photo by a1scrapmetal on Flickr.